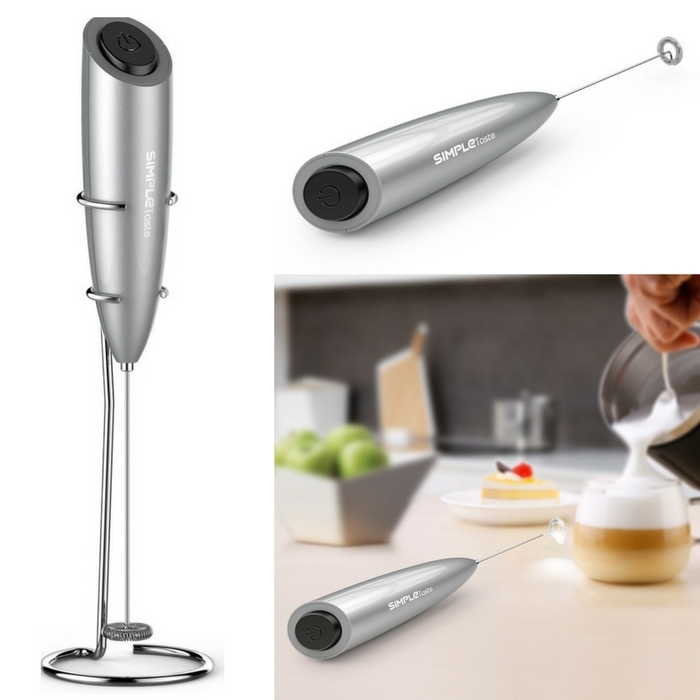 Electric Milk Frother Just $10.40! Down From $25! You are here: Home / Great Deals / Amazon Deals / Electric Milk Frother Just $10.49! Down From $25! Electric Milk Frother Just $10.49! Down From $25! Here’s a very nice deal for you at Amazon! SimpleTaste Electric Milk Frother is now on sale for just $10.49 down from $25 when you enter promo code 232A7SSF at checkout! Don’t miss this chance! Get it now! SimpleTaste electric milk frother electric foam maker is the convenient home whisk to help you create these same drinks at home for a fraction of the cost. Easily create milk froth for use on hot and iced coffees, lattes, cappuccinos, and machiattos. Milk frother also helps make delicious hot chocolates, flavored milks, matcha teas, mixed drinks, and can even electronically whisk egg yolks and all your favorite sauces.